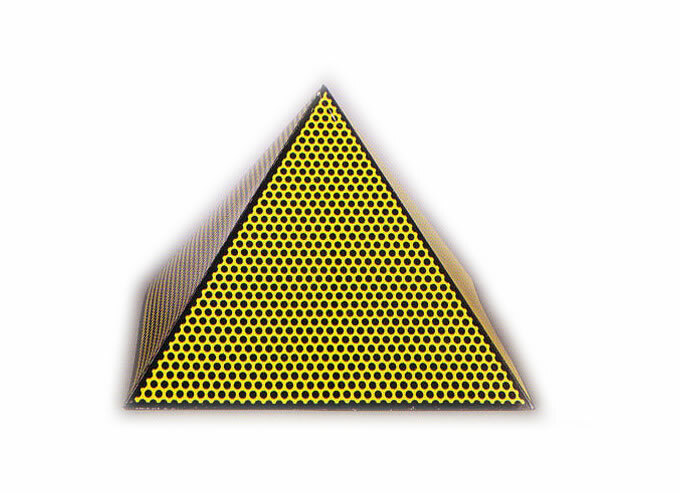 Screenprint in yellow and black, designed to be folded into the current pyramic shape. Signed and numbered reverse (i.e. inside). Limited edition officially 300, and numbered thus, although it is probable that only 100 were produced. 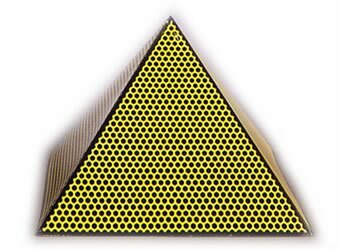 Minor wear to outer corners, which does not detract from overall high quality of this rare multiple. Born in New York in 1923, Lichtenstein studied painting from a young age and went on to receive an MA from Ohio State University. The best-known of the Pop Artists after Warhol, Lichtenstein's revolutionary application of the comic book style remained a central theme throughout his career. Roy Lichtenstein died in 1979.